CHRIST THE CENTRE OF THE BIBLE. Mark. Mark - to the Romans, revealing Jesus as the Son of God, the Heir. This account of Jesus was written to Roman readers. The Roman was different from the Jew. His genius was his strong common sense. His religion must be practical. He would have no interest in tracing beliefs back into the past. Legal genealogies and fulfilments of prophecy would leave him cold. Thus Mark portrays Jesus as the humble but perfect Servant of God. There is no reference to His birth as no one is interested in the pedigree of a servant. There is no visit of the wise men. A servant does not receive homage. 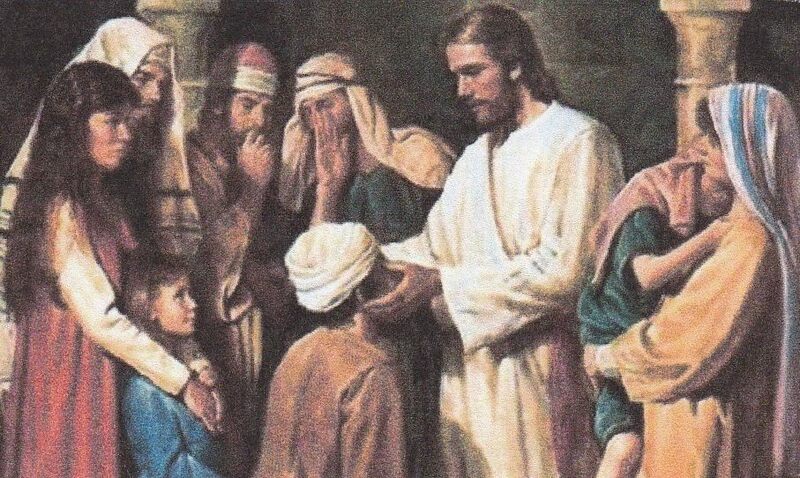 No account of Jesus as a boy in the temple. The Romans are not interested in the boy, but Jesus the man, and what He did. Jesus is not called King but master. Jesus is thus shown in His service, obedient, faithful and resolute. As the Son and heir he enters the estate that had been bestowed upon mankind, but which was lost and in enemy hands. Jesus was confronted with disruption and death at every turn and found the whole universe dominated by hell`s dominion. The features of the enemy`s work are graphically recorded and the heir has the authority to cast out all things that cause offence. Such authority related to leprosy, palsy, fever and demon possession. These surface disorders were symptomatic of secret conditions, the underlying power of darkness. Jesus was able to meet every assault that was made upon man by the power of the Holy Spirit. All the way through, the perfect servant was dogged by His enemies. He exposed their hypocritical practices but their hard hearts would not repent. Finally He was sold for 30 pieces of silver, the price of a slave and gave His life a ransom for many. When He arose Mark tells us that Jesus was received into heaven and exalted to the right hand of the Father where he continues to work. Previous entry CHRIST THE CENTRE OF THE BIBLE. Matthew. Next entry CHRIST THE CENTRE OF THE BIBLE. Luke.